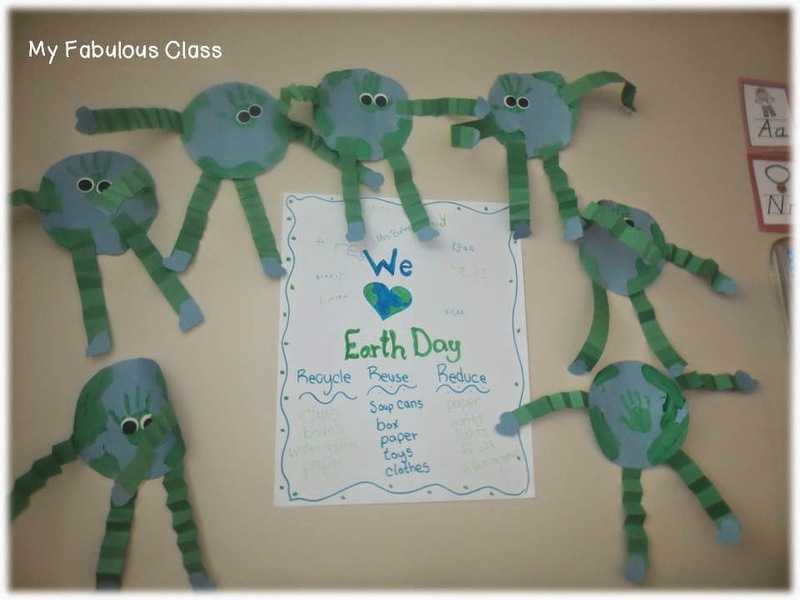 I have a quick post about our Earth Day Fun today. 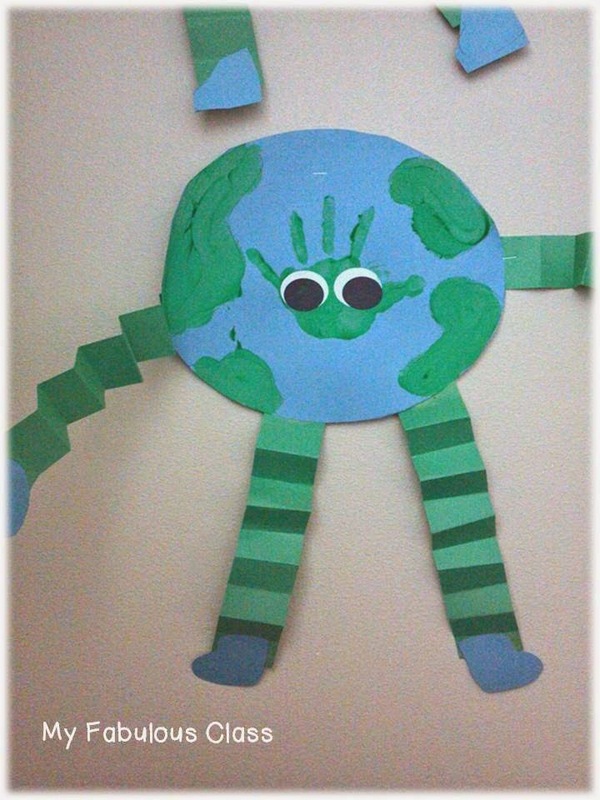 We made these adorable earth guys with our hand prints. First, I did their hand prints. 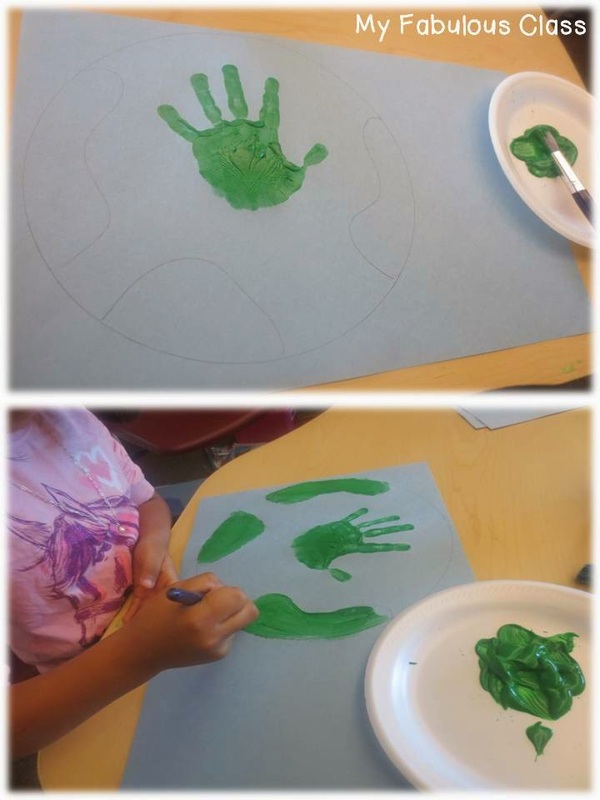 Then, the kids painted the earth. Finally, we added legs, arms, and adorable eyes. I just hand sketched the hands and feet and I used a two circle punch for the eyes.We also made the poster. We talked about why we should love the Earth and what it means to recycle, reuse, reduce. The kids all signed the poster. We also watched a few Youtube videos.The first one is a short cartoon that talks about different recycling projects in the classroom. The second one is a a song from Harry Kindergarten about what it means to recycle, reduce, and reuse. I found your blog and love it! I nominated you for a Liebster Award. Come check out my blog post for more information! Liebster Award and a Freebie!